"This report looks at pupil achievement in mathematics and science for 9 – 10 year olds in Northern Ireland. 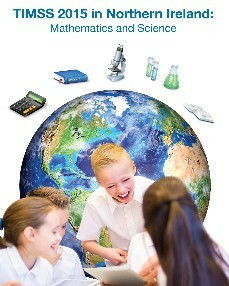 The IEA’s Trends in International Mathematics and Science Study (TIMSS) takes place every four years." inform NFER. The IEA’s Trends in International Mathematics and Science Study (TIMSS) takes place every four years and provides data about trends in mathematics and science achievement over time. The 2015 survey, the sixth in the series, updates the picture of performance from 2011. Earlier cycles took place in 2007, 2003, 1999 and 1995. The next TIMSS cycle is planned for 2019. TIMSS assesses the knowledge and skills of pupils aged 9 – 10 and 13 –14 and gathers extensive background information about pupils’ home and learning environments and the quantity, quality and content of teaching. This information can provide education policymakers, school leaders, teachers and researchers with powerful insights into how well education systems are functioning, and how to improve teaching and learning in mathematics and science for pupils around the world. TIMSS 2015 participants are varied, ranging from highly developed countries or regions through to developing ones. TIMSS 2015 involved 64 participants: 57 countries and 7 benchmarking participants, taking part with pupils in one or both age groups. Of these, 57 took part in the primary assessment for 9-10 year olds (50 countries and 7 benchmarking participants). In Northern Ireland, a total of 118 schools and 3116 pupils took part in TIMSS 2015. NFER is the TIMSS 2015 Mathematics and Science national centre for Northern Ireland and conducted the survey on behalf of the Department of Education (DE). NFER would like to thank the schools, their teachers and pupils for representing their country and helping to make TIMSS 2015 a success.